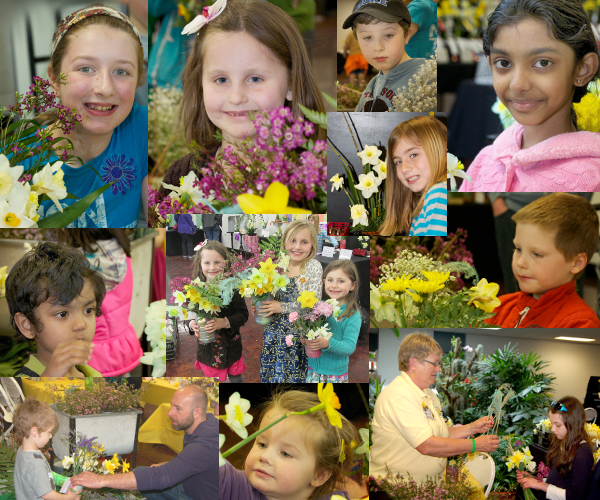 As part of our 2014 Daffodil Show the Greater St Louis Daffodil Society set aside a special area for children to explore daffodils. Visiting youth are encouraged to touch and appreciate daffodils in design and horticulture. Our youth coordinator, Jason Delaney, worked with the youth to create their own unique floral designs using daffodils, and explore how daffodils distribute moisture to the bloom using colored water. Children and adults alike had a marvelous time.